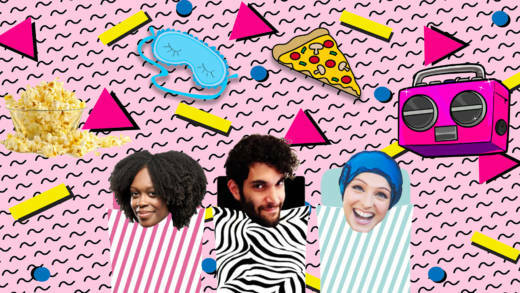 The Cooler Podcast is Throwing a '90s Slumber Party, and You're Invited! Are you nostalgic for your childhood? Do you want to relive a bit of the '90s for a night? Well, you’re in luck! Bust out your PJs because The Cooler is throwing a slumber party! We’ll be taking the stage at The Chapel for a live podcast taping. Our special guests will be RuPaul's Drag Race winner Bob the Drag Queen, comedian Zahra Noorbakhsh, and musician Kendra McKinley! There will also be a game of Truth or Dare, makeovers, some witchiness, and who knows what else! Buy your tickets ($10) now! And if you have any good stories about slumber parties, send 'em to ehapsis@kqed.org. We might feature them at the event and on our podcast! See y'all on March 21st! Big thanks to our sponsor The Chapel for supporting KQED. If you are interested in hosting a special event with The Chapel, please click here. If you are interested in attending live music shows and other performances, sign up for future emails from The Chapel.